NaMo sung with RaGa will not let AAP survive for long. I honestly am just praying that the poor guy survives. 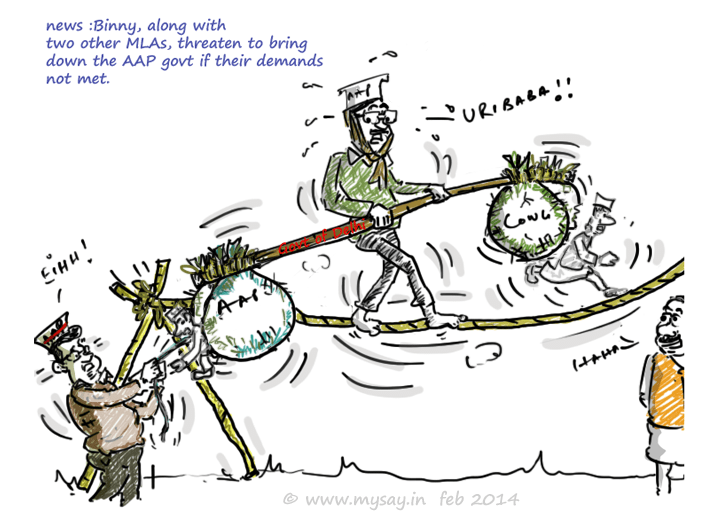 Since AAP came to power, MLA Vinod Kumar Binny is revolting against AAP government.